For many people, a dream job is one that lets you “work from anywhere” – not tied to a home office. Here are 14 such jobs and gigs open now. ♥ Share the love! 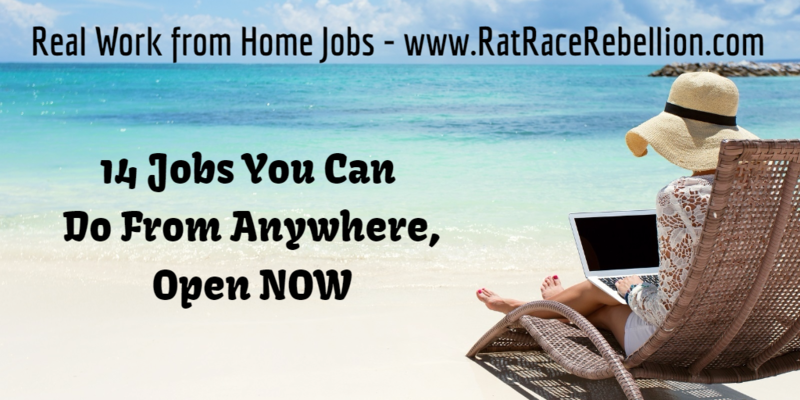 If you know someone looking for “work from anywhere” options, please share the post. They’ll love you and we will too! Thanks! This entry was posted in Work from Anywhere and tagged Gigwalk, Kirkus, LegiStorm, Postloop, Scribendi. Bookmark the permalink.